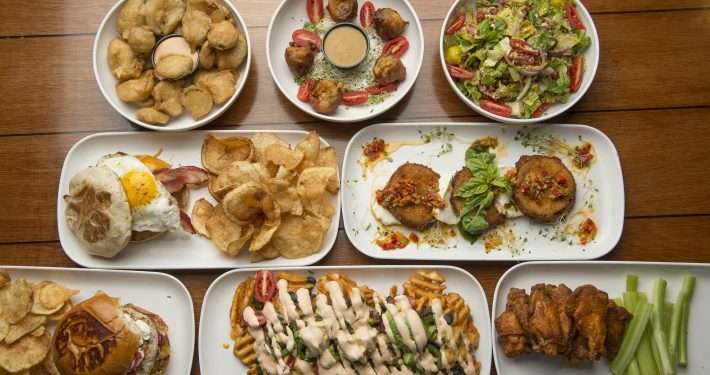 from veggie to wild game, plus beer & spiked shakes. 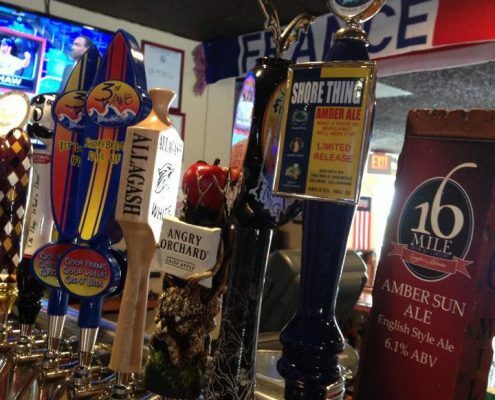 The Abbey Burger Bistro is locally owned and operated, with locations in Baltimore and Ocean City Maryland . We pride ourselves on our burgers! 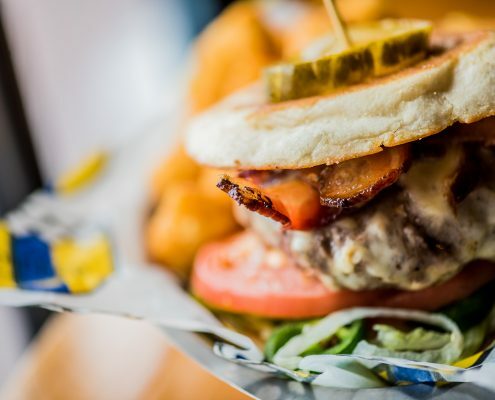 Our burgers have won awards regionally as well being named Maryland’s Best Burger by USA Today. Our space and personality allows us to cater to diverse crowds; we are a destination for sports fans as well as a family friendly restaurant. 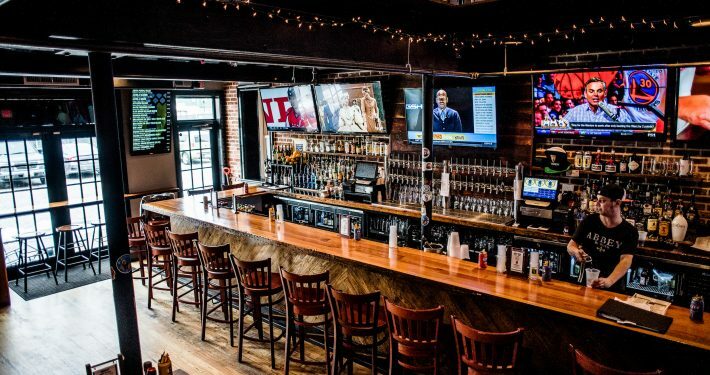 We have space in our restaurants for accommodating parties and love to host fundraisers to connect and give back to our neighborhood. 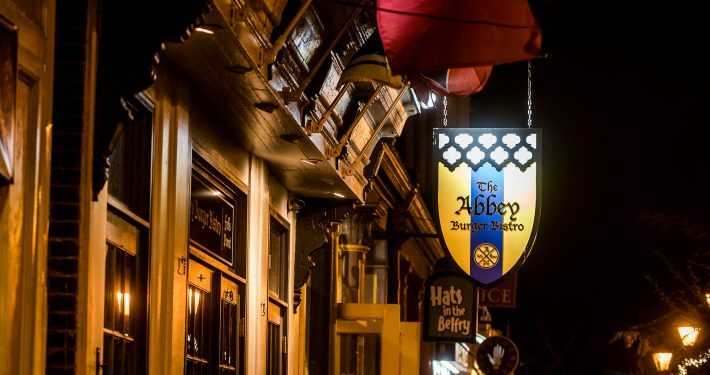 The Abbey offers an enticing selection of flavors for any burger palate, from rotating exotic meats like antelope to locally raised Dry Aged Black Angus to Delicious Handmade Vegetarians and even Vegan options. All of our burgers are hand-pattied and made to order. . If you’re feeling creative, you can build your own using our signature ‘Build A Burger’ checklist, or simply choose one of the tested and proven classics and leave it to the chef. The Abbey also features a wide selection of local, domestic, and imported beers and micro-brews, as well as an expansive bar. With build your own burgers and special meats every month. We offer some unique beers at every location.